The Leghorn, or 'Livorno', chicken. The Leghorn, or Livorno, chicken. One of the best layers - but is this the right breed for your family? Originally from Italy, their authentic name is the 'Livornese' or 'Livorno' - the port from which the breed was exported to the USA in the 1800s. Leghorn is the English translation. 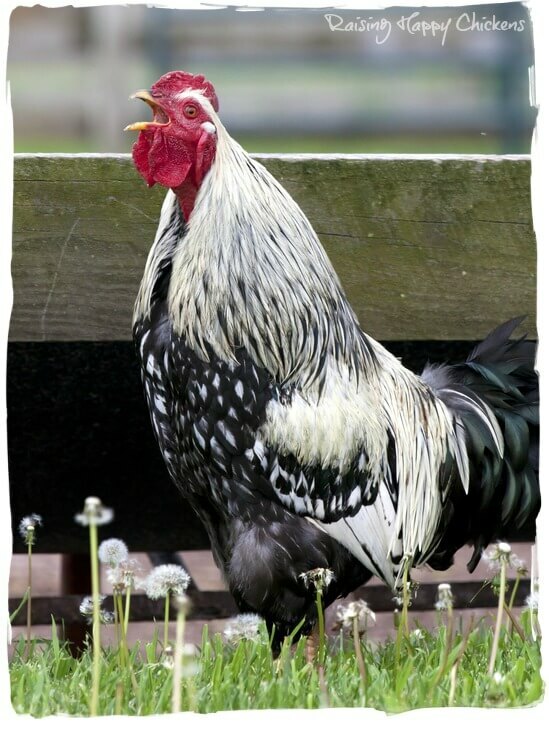 A beautiful male Silver Leghorn. They're still one of the most common chickens here in Italy, for very specific reasons - I keep some in my flock because they're such reliable layers. But they're not right for everyone. Here's what's good and not so good. The Leghorn / Livorno at a glance. 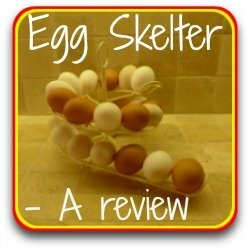 A great egg-layer - one of the best! 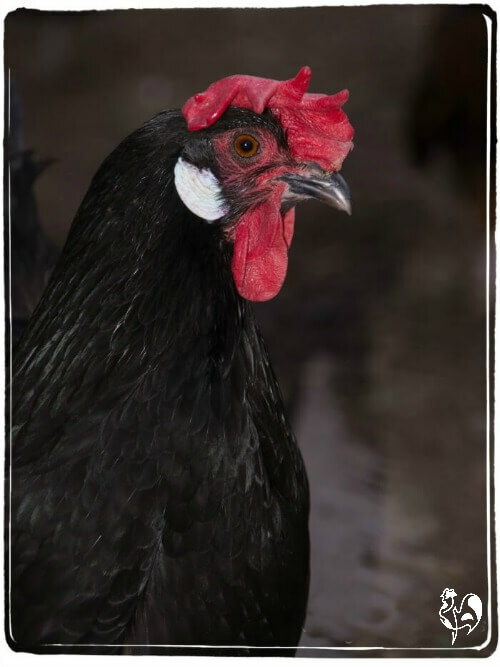 Often used in commercial egg production, so widely available (especially in the UK) as 'rescue' chickens. This is quite a long page. To help you find what you're looking for, in the box below are all the sections I cover. Click on any of these links to go straight to that section. Originally a brown coloured bird, the Livornese ('from Livorno') was bred in the north-west of Italy as a small-bodied chicken which laid a lot of eggs but didn't eat much food - both reasons the Livorno is still very popular in Italy today. The exact date they were taken from Italy to the United States is not clear, but was somewhere between the early 1820s and the 1850s. By 1853 there were certainly two colours : brown - the originals - and white. These remain the two most common colours today. The white Livorno, now re-named the Leghorn, was taken from the U.S. to England around 1870, followed by the brown a couple of years later. Neither has been as popular in the UK as in either Italy or America, although they're often used in commercial egg-producing companies because of their prolific laying. What does a Leghorn look like? Chicks lose their fluffy down and develop their feathers very quickly, which means they can tolerate cooler temperatures than most other young ones. Unlike Red Stars, another good layer, there's no way of telling males from females until they're several weeks old. As an adult, they're small, compact, quite skinny birds weighing in at between 4 and 6lbs. They now come in a variety of colours including silver, black and buff, but the most common remain brown and, in particular, white. The combs of the original Leghorns are single and very large; with many - including my girls - they flop over to one side which gives the birds a comical look. 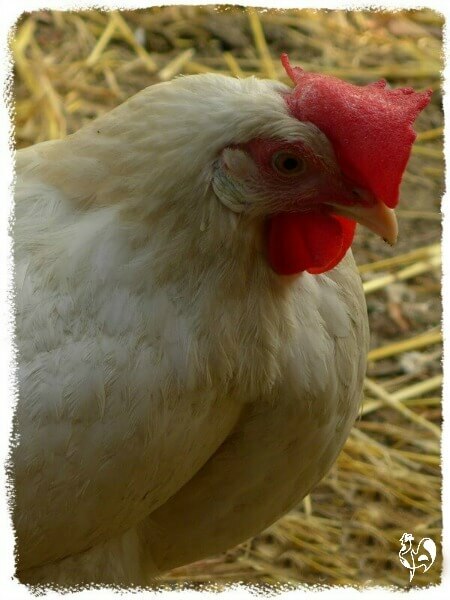 Miss LouLou, one of my white Leghorns, showing off her large and floppy comb. They're bred to withstand extremes of temperature : they can deal with very cold winters and very warm summers with no problem. The only real issue may be their large comb which is susceptible to frostbite - there are some American variants bred with rose combs to prevent that very problem. 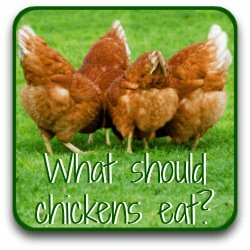 It's easily avoided by making sure your coop is free from moisture which will freeze. If necessary, rub some Vaseline into the comb to keep it protected - although I've kept Leghorns in very cold conditions without this being an issue. No matter what colour they are, they have quite large wattles, bright orange eyes, white earlobes and yellow legs. Even the black has white earlobes! 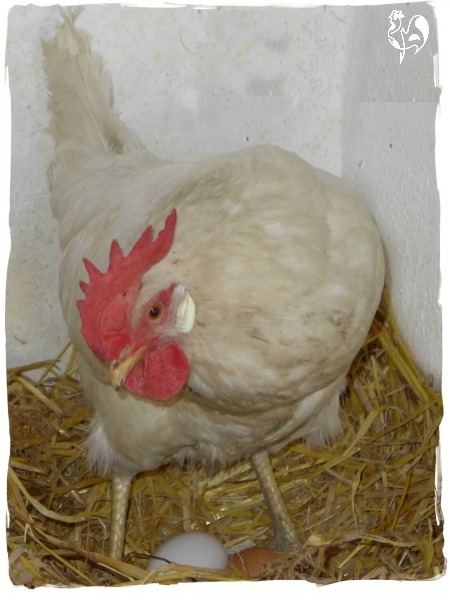 The Leghorn is a busy bird, always very active, usually the first out of the coop in the morning and last in at night. They're excellent at foraging : they like nothing better than to scratch around all day in even the poorest of soils, hunting for any tasty morsel they can find. They also have a very light appetite : one of the reasons they're often used as battery hens commercially is because, although they lay a lot of eggs, they don't eat a lot of food. The fact that they're used in battery farms like this mean that they're often available for adoption once the company defines their laying days as over. 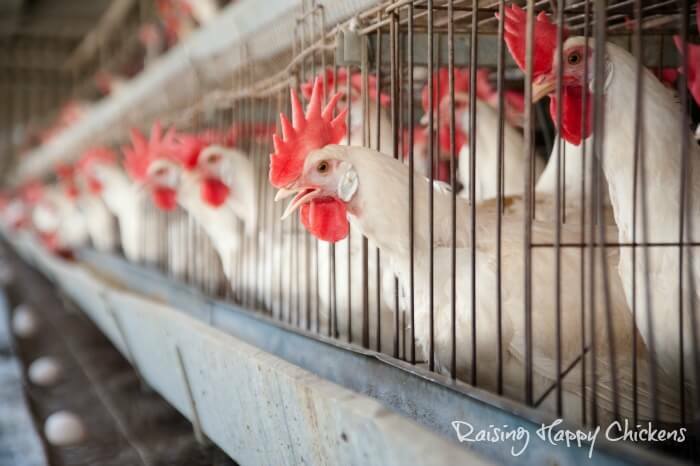 White Leghorns in commercial battery cages. In the back yard they're not the friendliest of chickens, being quite independent, and I always find them a bit 'nervy' - the smallest noise sends them scattering all over the yard. They don't much like being picked up, either, so they're not really for you if you're looking for a child-friendly pet. Having said that, of course, mine are rescues so bound to be less friendly than chicks which are handled from 2 or 3 days old, who can often become calm and friendly adults. Males tend to be active but not aggressive - although again, there are always exceptions to the rule! The white males have a particularly upright bearing. 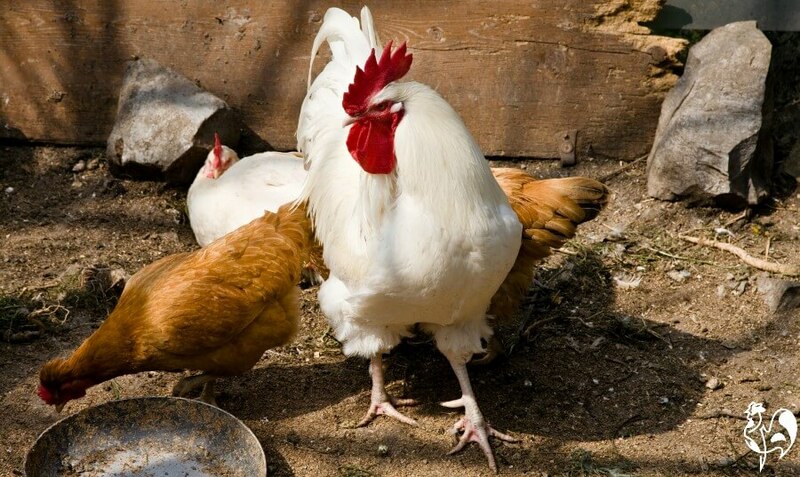 One of the Leghorn's strongest points : they lay on average 300 eggs per year. Mine give me one a day, as regular as clockwork, no matter what the weather or the season, and they carry on laying until they're three or four years old. They lay with a pure white shell and, once they're a few months into laying, they're the largest eggs I get. Needless to say, they taste wonderful too! Chicks feather out quickly, making them a good choice to hatch later in the year for laying the following Spring. Produce a lot of eggs. Don't have huge appetites and they're good foragers, so they supplement their diet with bugs they find for themselves. Can survive extremes of heat and cold. Happy in confined spaces, and on any type of soil. Betty-Boo had just laid when I disturbed her! Things which may be a problem. Can be very 'nervy' - they get frightened at the least little thing, so too jumpy to be very child-friendly. Unless you raise them from chicks, they tend to be a bit 'stand-offish'. Although they're excellent foragers, they don't discriminate, so watch out for your flower beds! 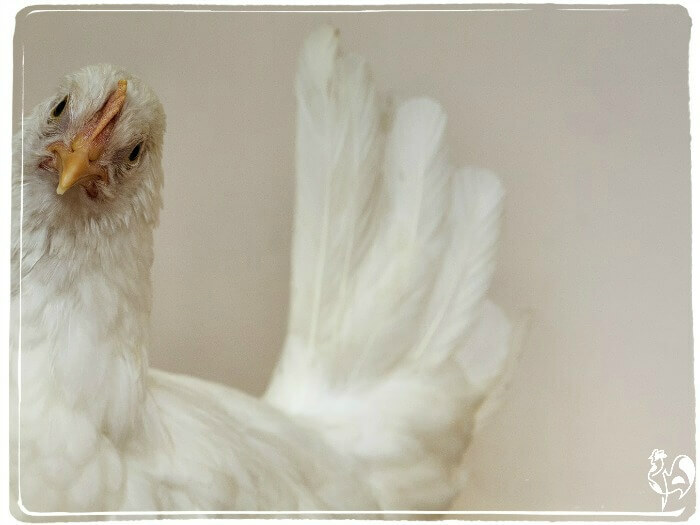 Not good mothers - the Leghorn is bred to lay, not hatch. The comb can grow very large and is susceptible to frostbite. Rubbing some Vaseline on can help with this. The American Brown Leghorn Club has a website but it does not have a secure link - paste the name into a search engine to see it. This link is for the breed club in Australia. Unfortunately, the Leghorn Club in the UK seems to have allowed its website to lapse. However, there's also a breed Group on Facebook, which is often a good place to start if you want to buy. It's a 'closed' group to make sure it's kept strictly to chicken-lovers, so you'll need to request to join. Members on there will have details of breeders in the UK. Here's an interesting, short video of farm-raised Leghorns. Enjoy! 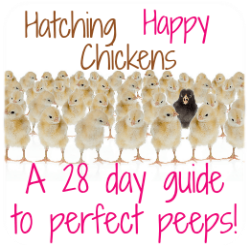 Looking for a friendlier egg-layer? 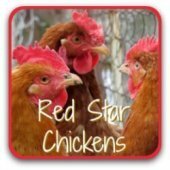 The Red Star is my favourite chicken of all time. 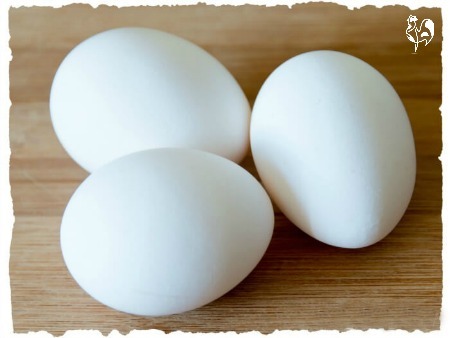 Great in all weathers and a consistent layer of light brown eggs. So if you're looking for a combination of a great layer and a friendly, funny, family bird, take a look at my article about them. Just click on the pic to find out more. Here's some other suggestions you might like.